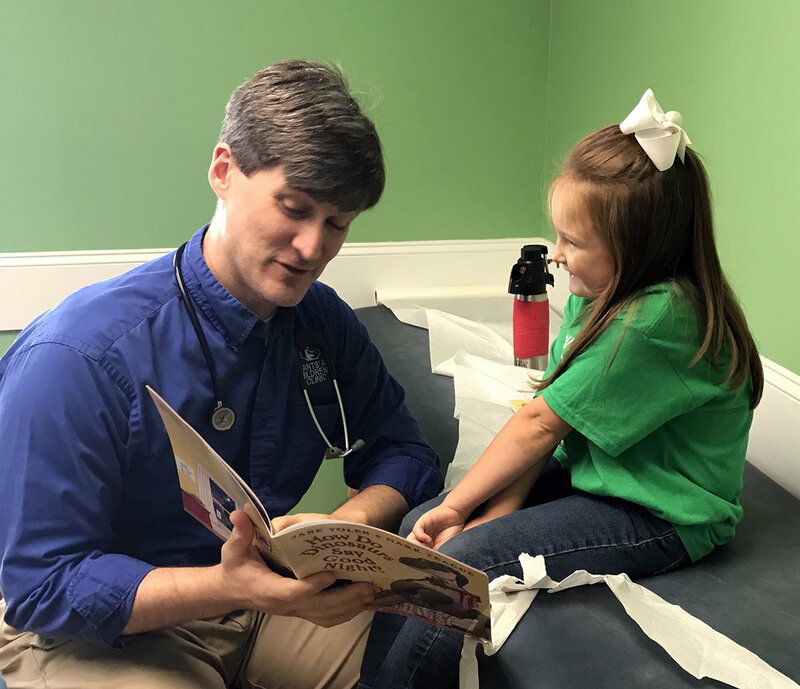 Reach Out and Read-Alabama, a program of the Alabama Chapter-American Academy of Pediatrics, gives young children a foundation for success by incorporating books into pediatric care and encouraging families to read aloud together. A doctor. A family. A book. Reach Out and Read creates readers -- and learners -- for life. Reach Out and Read-Alabama reaches 110,400 families each year, many living in poverty. More than 300 physicians prescribe 160,000 new books annually at well-child visits at six months through five years of age. We paid tribute to our 10-year anniversary in 2016, but more importantly, we celebrated our role in preparing children in Alabama for their lifelong journey of learning. The value of our program goes much further than just the book. The American Academy of Pediatrics promotes literacy as “an essential component of pediatric primary care” for all children, and references Reach Out and Read as an effective intervention to engage parents and prepare children to achieve their potential in school and beyond. Reach Out and Read is grateful to our network of private and public supporters, whose generosity and commitment to our mission enhance our promotion of early literacy and school readiness. These partnerships enable Reach Out and Read to serve millions of children and their families nationwide. View our 2018 Impact Report available now!